When you need to get out and about with your electric guitar, you tend to carry around all the required equipment. They usually are bulky and takes time to set up, leaving you with less time for your performance of jam session. This is about to change, thanks to a tiny guitar amplifier that easily plugs into your guitar’s base. 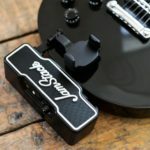 JamStack is the world’s first attachable guitar amp that you can carry with your electric guitar anywhere. It works with your Smartphone, so you can have more freedom to play it wherever. JamStack integrates the usual features you’d find in a conventional guitar amp but on a smaller scale. Yet with its compact size, it doesn’t crimp on features. Equipped with a 10-watt speaker, this amp is ready to deliver equally great sound quality both at high and low volumes (and of course, everywhere in between). You will find this amp useful in a variety of situations, such as in open streets where a loud volume is desired, or in apartments and dorms that have noise level regulations. Anywhere you take your guitar with you, JamStack is able to provide clear audio quality, no matter how loud or quiet your venue is. It’s a guitar amp after all – JamStack pairs with your Android or iOS Smartphone to function like traditional amps, but better. 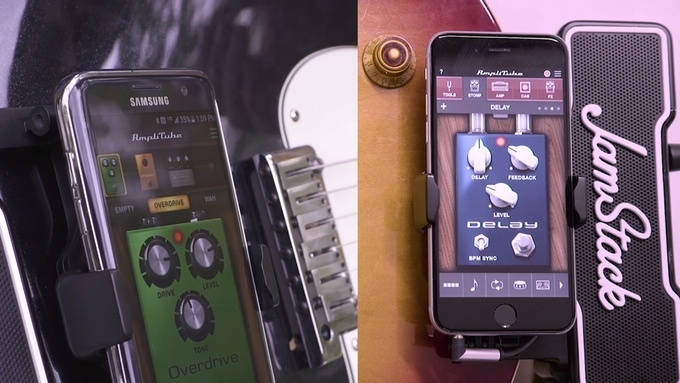 Fire up your favorite amplifier app while your amp is simultaneously connected to your Smartphone and guitar, and you’re good to go to experiment with a variety of sound effects. Thanks to its ultra-low latency connection and support for multiple frequencies at once, effects will sound great along your guitar without fading problems. It works continuously for 8 hours on a single charge, making it truly portable. A Smartphone cradle built right into JamStack makes it easy for you to access your favorite amplifier app and make adjustments on the fly. It also serves a double purpose for times you won’t use it as a guitar amp. JamStack also works as a standalone portable speaker, making it perfect for spontaneous outdoor jams or whenever you just feel like lounging. 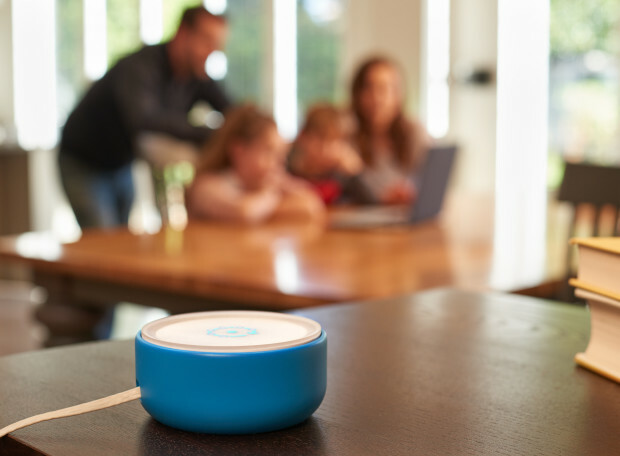 The 10-watt speaker delivers crisp and clear audio quality two ways: either wirelessly over Bluetooth, or over the wired route through its built-in 3.5-mm headphone jack. A stylish and lightweight design at just under 2 pounds makes it stand out as an elegant portable speaker and a guitar amp at the same time. 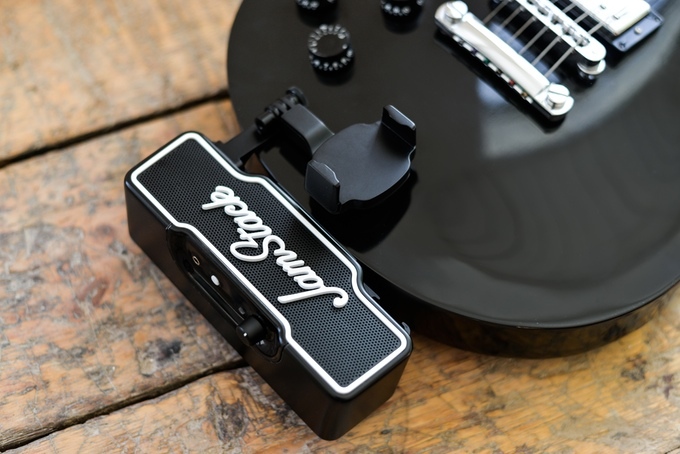 JamStack makes it a cinch to set up your electric guitar and get shredding in a matter of seconds. You can ditch your usual bulky setup while still having a great-sounding guitar playing experience anywhere.